Last week I walked into the South Slope Union Market and was surprised to see fresh turmeric root (mislabeled as “tumeric root”), something I hadn’t seen before. I picked up a handful of the tiny roots, not sure what to do with them but excited anyway. 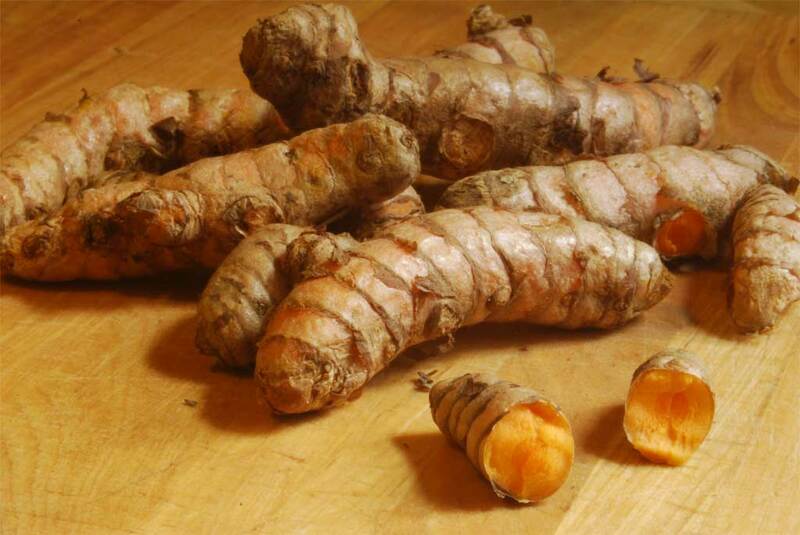 Turmeric is said to have numerous health benefits — a natural detoxifier, etc. — and has a sweet, almost carrot-like smell. I’ve sliced in thin and added it to an Asian-inspired soup, and I’ve grated it and used it as a base for curry. I should warn you that if you do grate it your fingers will be bright yellow for a day, at least, despite any scrubbing.